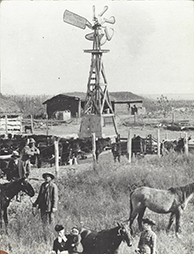 Quarterly Newsletter of Water Pumping Windmills and Wind Power History. Read the Windmillers’ Gazette, the only periodical in the world devoted exclusively to water-pumping windmills and wind power history. Since 1982 readers worldwide have enjoyed reading Windmillers’ Gazette articles dealing with all aspects of wind powered pumping. The newsletter presents articles on selecting, installing, and maintaining water pumpers, as well as on the preservation and use of historic wind machines which remain scattered throughout rural and urban areas across the world. 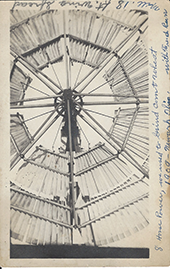 The publication has recently started to include similarly informative articles about the history and preservation of historic small wind-electric plants. What is the Windmillers’ Gazette? 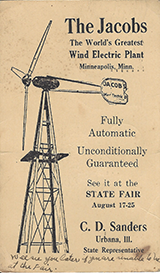 The Windmillers’ Gazette is a quarterly newsletter devoted exclusively to water-pumping windmills, small wind-electric plants and wind power history in general. It was founded by T. Lindsay Baker, historian of wind power, museum curator, and windmill restoration technician, who has studied and written on wind power for a quarter century. In the spring of 2015, the publication was bequeathed to its new editor and publisher, Christopher Gillis. Who reads the Windmillers’ Gazette? What type of articles does the Windmillers’ Gazette include? Reviews of recent books dealing with water-pumping and electricity-generation windmills, in addition to wind power history in general. What is the focus for the Windmillers’ Gazette? The Windmillers’ Gazette deals exclusively with modern and historic wind machines for pumping water, producing mechanical power and now electricity generation. It does not deal with European-style windmills which developed in the Old World for grinding grain, pumping water, or processing industrial products. For windmills of this type, the editor refers interested individuals to the International Molinological Society, c/o Charles Yeske (council member from North America), 152 East Swamp Road, Doylestown, Pennsylvania 18901, USA, www.molinology.org, and the Society for the Preservation of Old Mills, P.O. Box 422, Great Falls, Virginia 22066, USA, www.spoom.org. The contents of this site, including all images and text, are for personal, educational, non-commercial use only. Copyright is held by the Windmillers’ Gazette. Any commercial use or publication without written permission is strictly prohibited. The Windmillers’ Gazette does not warrant that the materials displayed on this site will not infringe the rights of third parties not owned by or affiliated with the newsletter. The staff of the Windmillers’ Gazette has not reviewed all the sites linked to the site and is not responsible for the content of any off-site pages or other sites linked to the site. Your linking to any off-site pages or other sites is at your own risk.